On the study of local-stress rearrangements during quasi-static plastic shear of a model glass: Do local-stress components contain enough information? We present a numerical study of the mechanical response of a 2D Lennard-Jones amorphous solid under steady quasi-static and athermal shear. We focus here on the evolution of local stress components. 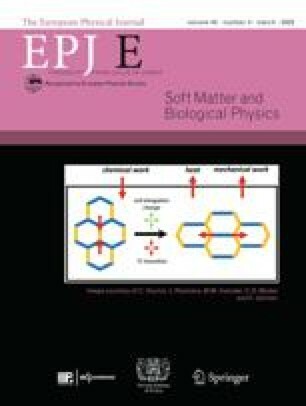 While the local stress is usually taken as an order parameter in the description of the rheological behaviour of complex fluids, and for plasticity in glasses, we show here that the knowledge of local stresses is not sufficient for a complete description of the plastic behaviour of our system. The distribution of local stresses can be approximately described as resulting from the sum of localized quadrupolar events with an exponential distribution of amplitudes. However, we show that the position of the center of the quadrupoles is not related to any special evolution of the local stress, but must be described by another variable.